Today I’m going to demonstrate one of our favorite buttercream piping techniques- this “loopy piping” is surprisingly simple and quick to do! This elegant cake decoration can be applied to cakes for all occasions, from baby showers and birthdays to weddings! 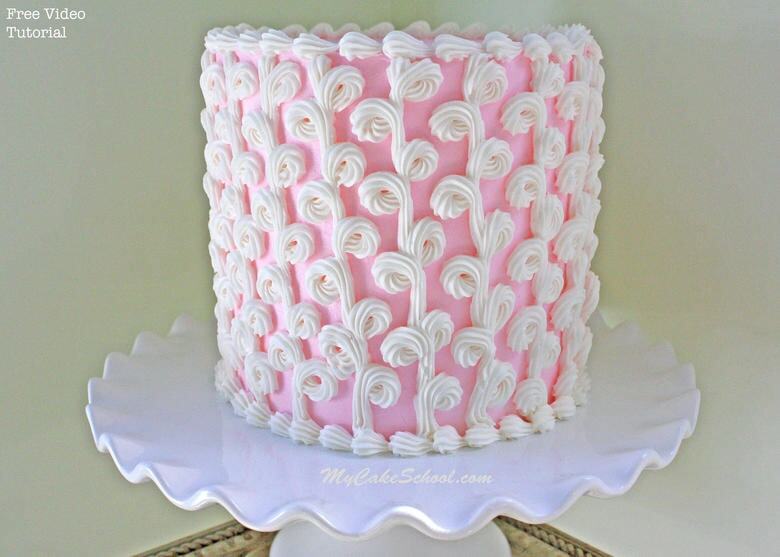 For our piping demonstration today, I am piping with white buttercream onto a pink background for a nice color contrast. However, for wedding cakes, white on white piping is gorgeous, as would be white onto an ivory background. We hope that you enjoy the video! We plan to post free cake tutorials regularly both here and on our Facebook page and YouTube channel, while continuing to add additional new cake tutorials to our Member Video Section! In this tutorial, we used our Fluffy Vanilla Buttercream Recipe. You can use any star tip that you’d like, although I prefer smaller tips for this technique. In this tutorial, I’m using a Wilton 18. (Ateco, or other brands are fine!). After piping your first vertical line of loops, you may find it helpful to count the loops on the right side and just keep that number in mind as you are piping the loops for the other rows. For instance, my rows had 5 loops going down the right side of each row. Make your loops as small, large, or spaced out as you’d like! I highly recommend doing a practice run on parchment or waxed paper for a few rows just to get a feel for the technique. Thanks for stopping by! 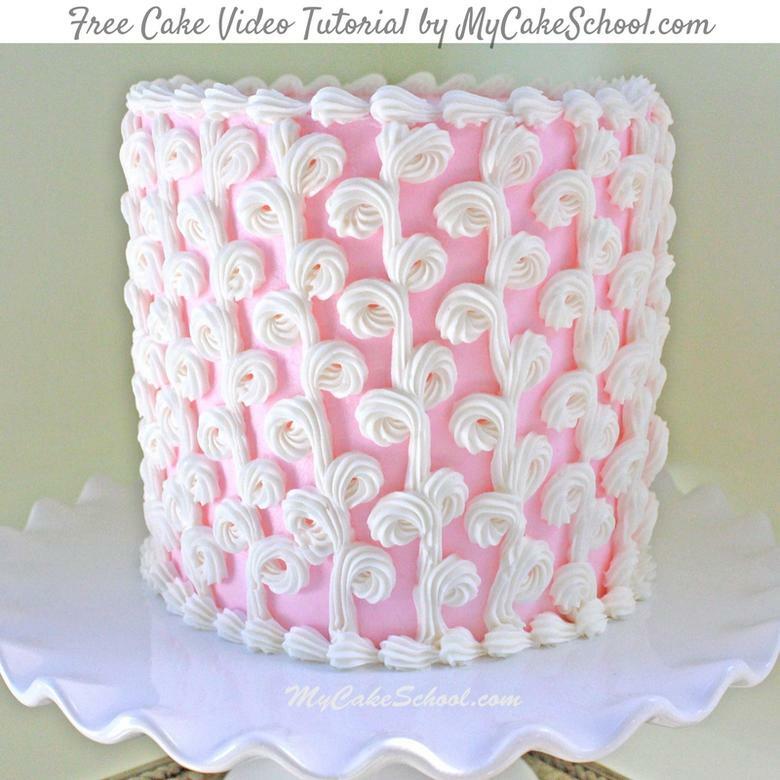 You can find even more free cake tutorials here! : Free Cake Tutorials Section. You can also find our full collection on tried and true cake & frosting recipes in our Recipes Section. Thank you for the video, it’s a beautiful technique. Nice and easy, fresh technique. Beautiful look. Did you change your video taping somehow, it seemed so clear and like I was right there with you in the kitchen? I like the design, thanks for sharing the tutorial. I love it, simple but beautiful? Every time when I visiting to your blog will get unique idea. Thanks for sharing, Looks delicious.